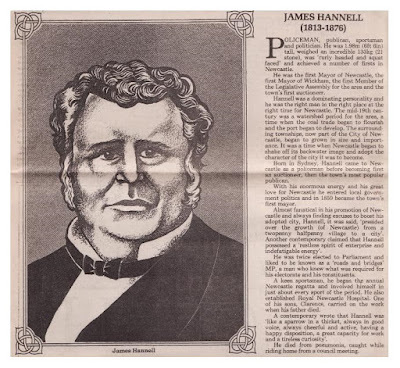 There is far too much information about James Hannell, to include in one article, so I will attempt to add some more, here. There is no sure way to extrapolate all the wonderful efforts of this man. To say he was a 'Patriarch' of Newcastle, is, in many ways, true, though the notion is subjective in its sentiment. His efforts in the Public arena are well advertised. 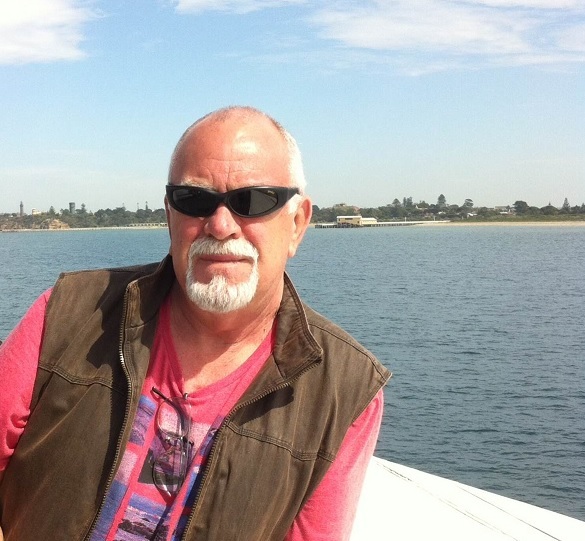 His association with power-houses of Australian politics, such as D'Arcy WENTWORTH and Sir Henry PARKES, are testimony to his acceptance on a peer-level by these icons. James' record of service on the Legislature of NSW, is on public record. Born in Parramatta, on 1st December, 1813, James came to Newcastle in the early 1830s. 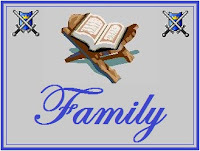 He was chiefly educated at the Christ Church School, which was originally housed in the actual church. In mid 1833, James became a Policeman, and served in that role for only a few years. He secured an Auctioneer's Licence on 9th September, 1839. This was the first licence granted in Newcastle. James applied for, and was awarded, the Licence for a Public House, called 'The Ship Inn'. James built the 'Inn' up, to become the leading hotel in Newcastle. 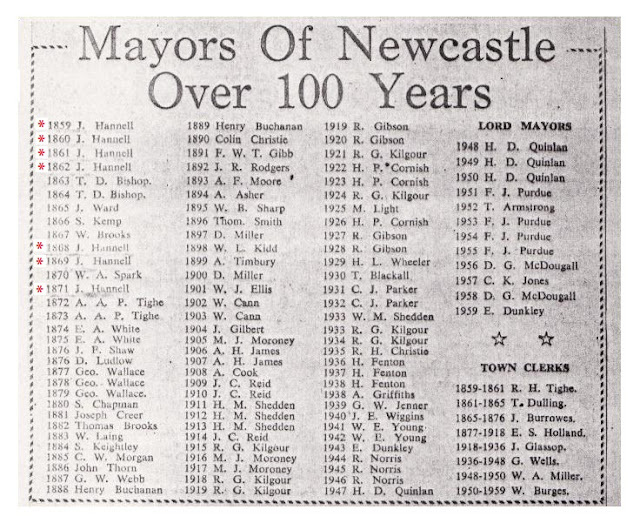 He was very prominent in affairs concerning the betterment of Newcastle, and, primary amongst those concerns, was the incorporation of Newcastle, as a City. When this came to fruition, on June 7th, 1859, James was amongst those elected to the first Council, and subsequently, elected as the first Mayor - without opposition. The other members reads like a list of 'Who's Who' in Newcastle - Major Charles BOLTON, A.A.P.TIGHE, James CORLETTE, Peter FLEMING, Martin RICHARDSON, Robert TURTON and George TULLY. James was also instrumental in much of the drive to get the Hospital built, in Newcastle ...at least to a standard, from which his son, Clarence, would also assist in fund-raising, resulting in it's Twentieth Century form. James served as Newcastle Mayor 1859-62, 1868-69 and again in 1871. He was also elected as the First Mayor of Wickham, on April 8th, 1871. Members present were : James HANNELL, Peter FLEMING, Charles ThomasHOMAS, James Harrison HUBBARD, Charles UPFOLD, William Henry WHITE. To change the topic, and regress slightly, James was well-known as a 'Sporting Man'. Together with a few friends, he managed to lease a portion of ground, from a Mr. Alexander Walter SCOTT, at Burwood (I believe this area is now known as Frederick St, Merewether). Newcastle's first Horse Racing Course was formed on this land. Prior to 1846 , any 'races' were held in the Main Street! 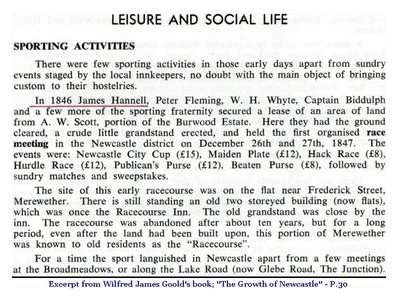 So, the Christmas Races of 1848 were held on this land, and later, the Newcastle Jockey Club was formed, with guess who as the first President? You guessed it, James HANNELL. That's correct. James, I believe, also founded the Newcastle Cricket Club and was its First President. He was also the First President of the Newcastle Regatta Committee, in which his brother John excelled. 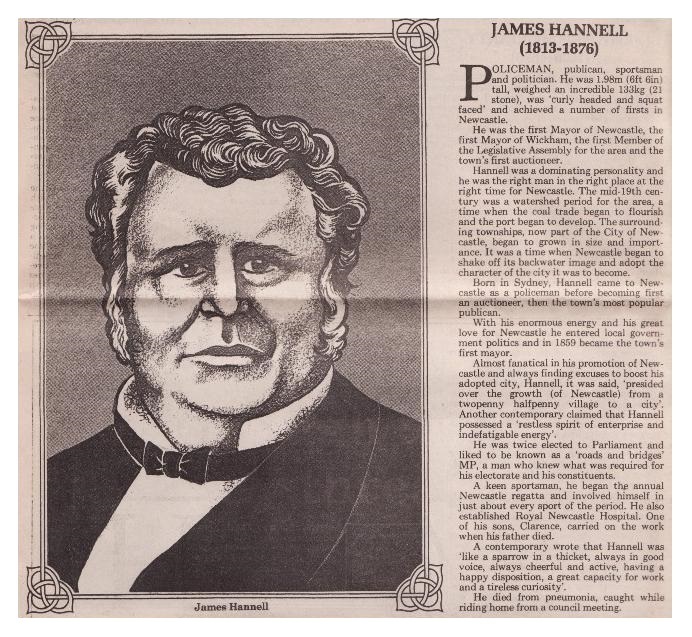 * The monument to James Hannell, stood in Christ Church Cathedral grounds, in a prominent position near the doors of the Warriors' Chapel, is currently, (as at 31/07/2011), still being restored by the contractor to Newcastle Council, Mr Gaites. I believe a meeting is to be held on 17th August, 2011, at the Cathedral, to address this matter. This small plaque is marking the position, at present. Much of this work must be credited to members of the Carroll family, such as Mrs Gloria Carroll, the late Douglas Carroll, his brother Max, Arthur Hannell, and others.